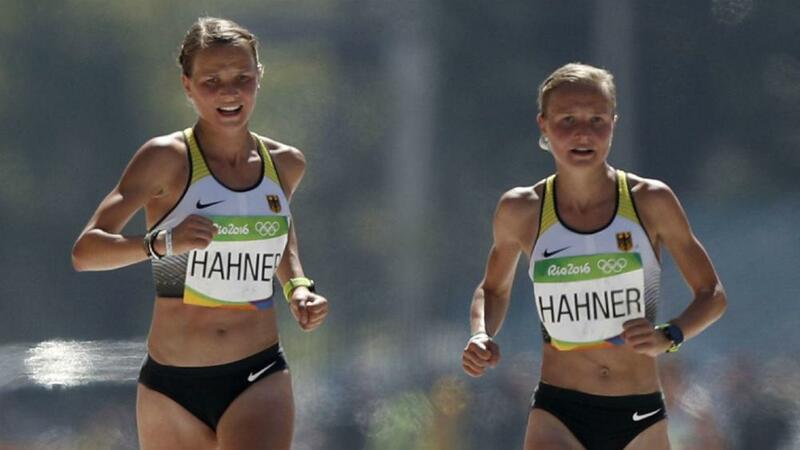 There were contrasting fortunes for the two sets of twins and the triplets competing in the women's Olympic marathon. North Korean twins Kim Hye-song and Kim Hye-gyong were awarded the same time at the women's marathon in Rio on Sunday, but a photo finish separated German siblings Anna and Lisa Hahner. Kim Hye-song officially claimed 10th at the event, won by Kenya's Jemima Sumgong, ahead of Kim Hye-gyong, with the sisters crossing the line at the same moment and both taking a time of two hours, 28 minutes and 36 seconds. The Hahner twins also finished at seemingly the same moment, but were treated slightly differently by the time keepers, Anna awarded 81st place with a time of 2.45:32, officially one second quicker than Lisa after a photo finish. The Estonian triplets competing in the marathon did not follow the example of the two sets of twins, with Lily Luik the fastest of the trio, recording a time of 2.48:29 to finish 97th. Leila Luik was 114th (2.54:38), while Liina Luik did not finish.